The internet is eye-gougingly slow at this time, which is a considerable improvement from the the rest of the time when others are using the tiny little satellite connection we have as well. My internal clock is badly screwed up due to the lack of obvious daily rhythm and disrupted sleep the last few days. 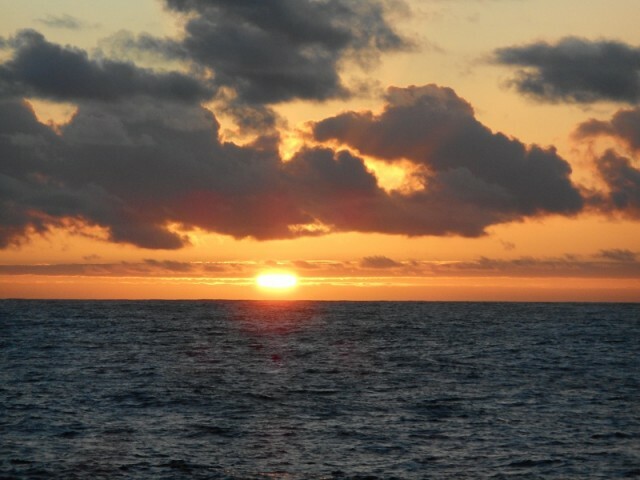 We are passing the island of Bouvetøya, which is remarkable because it is a) the only land we’ve seen in over a week and b) it is the most remote island in the world, which feels about right. We’ve traveled now for almost a week, constantly heading 206 degrees (South!) out of Cape Town, and it does feel like we’re a long way from anything. However, we’re only half way to our landing point near Halley. They’re not sure yet, but the expectation is somewhere between Saturday and Sunday we’ll start to encounter the ice – there’s a lot more of it than expected this year, and further out, so we’ll need to do a lot of icebreaking. Our ship! 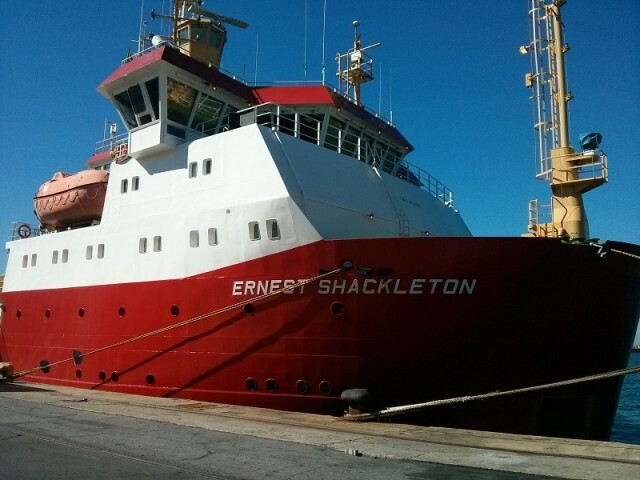 The RRS Ernest Shackleton, one of two ships that the British Antarctic Survey has. This one is more of a freighter while the other, the James Clark Ross, is a science vessel. It has accommodation for about 60 people, of which currently 21 are crew and 28 are “supernumerary crew” – what you call passengers if you want them to help with cleaning etc 🙂 It is pretty comfortable aboard: we all have cabins with at most one other person, which is manageable. There’s unlimited excellent food produced – almost more than I can eat, which is a problem. They have a bar with cheap beer (so far not taken full advantage of), lounges, a very extensive DVD collection and a very interesting crew. Our cargo! 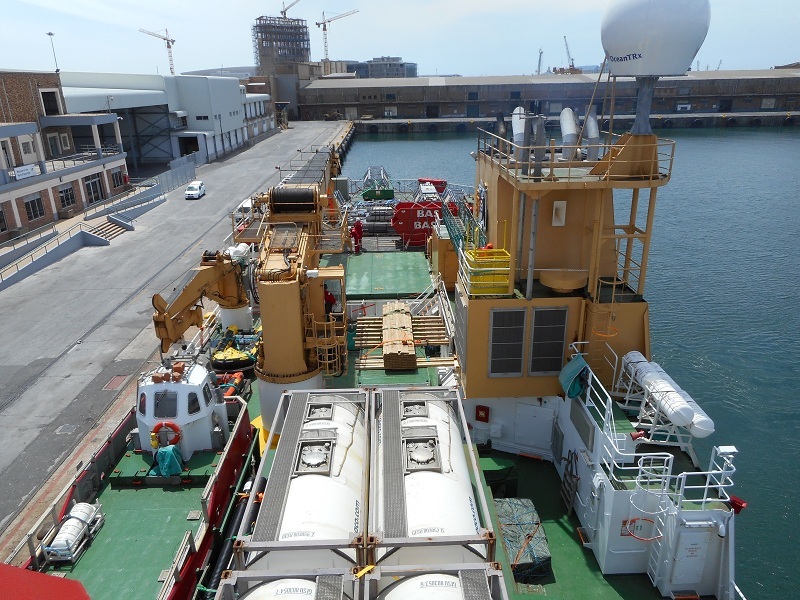 In addition to the passengers, of which 5 are from the wintering team while the rest are (much more sensible) summer staff, we are carrying many tonnes of cargo bound for Halley. Most of this by weight is Avtur fuel, stored in those four white tank-tainers (apparently a word) and many barrels held down in the hold below. We also are carrying a years’ supply of food, spare generators, all kinds of other replacement parts and science kit. And, of course, our personal boxes. 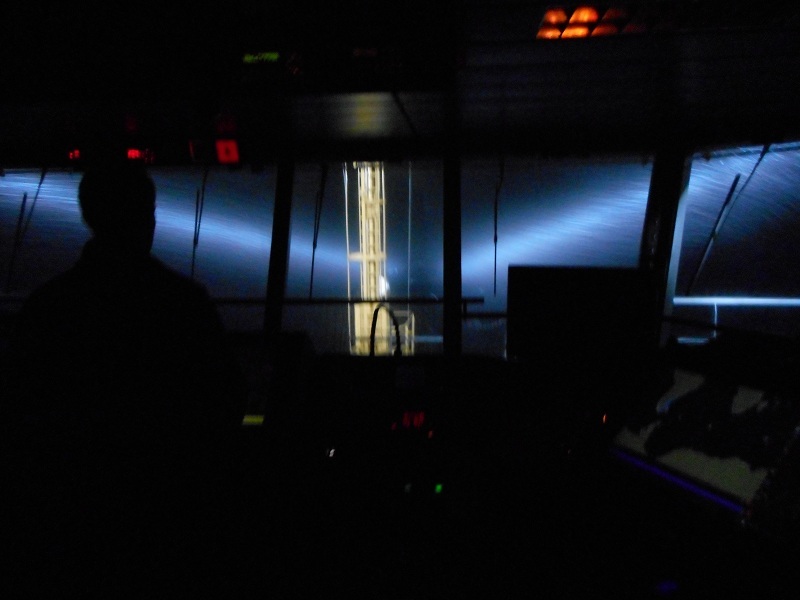 This photo is looking aft from the bridge, which we can go up and visit freely – which is very cool. That room, in addition to the best views around, also has so many screens and levers and buttons – an engineer’s heaven. We have to careful when it’s dark and rolling that we don’t fall on a button that declutches the engines or something though – this is hard as most of the surfaces are covered in controls of some description. Yesterday were the heaviest seas yet. We have been able to avoid entering a storm we thought we may have to pass though but crossing in its wake still gave 10m swells and very dramatic ship movements. Enough, certainly, to make walking hard, make anything in your cabin that’s not secured fall to the floor, showering hazardous and interesting sitting in the lounge as your chair slides back and forth across the room.